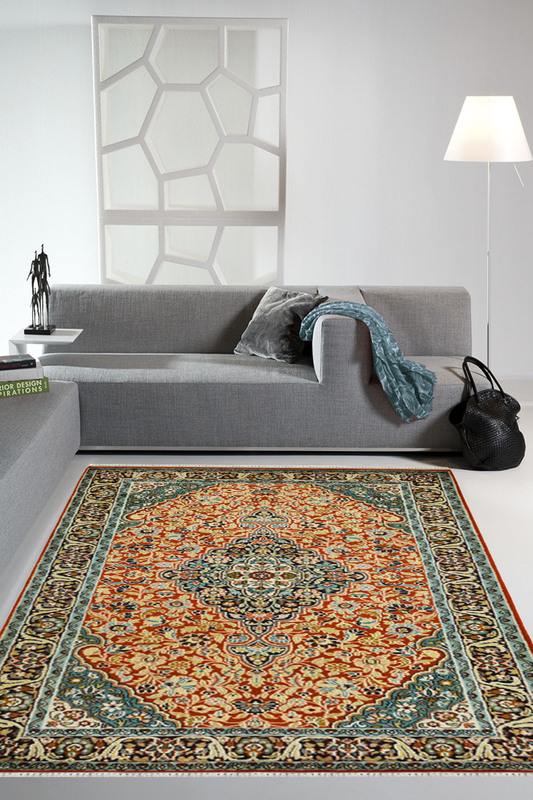 - Unique combination of Teal and Rust with intricate design pattern and Kashan design. - The design has been originated from a town in Persia called Kashan. - This rug is Handmade in silk base and pure Kashmir Silk on top. - The border has a detailed design and a curvilinear pattern. - Primary colors are Teal, orange-rust with tinges of Ivory. - It has taken about 5 months to weave this rug by our very talented skilled craftsman. - Rugsandbeyond's recommendation is to use this rug as a coffee table rug or as a wall hanging.